Some desktop coffee machines (e.g. figure 1) are now connected to the Internet (Pritchard, 2012). Such devices are enrolled within increasingly complex information infrastructures involving cloud services. This form of entanglement creates mazes of unexpected heterogeneous opportunities and risks (Latour, 2003), yet users ability to perceive such opportunity and risk is limited their lack of visceral understanding of such entanglement. It is this understanding of the cloud by the user which is the focus of blog posting. Such a coffee maker “calls out” (Gibson, 1979) to users’ with a simple offering – its ability to make coffee. 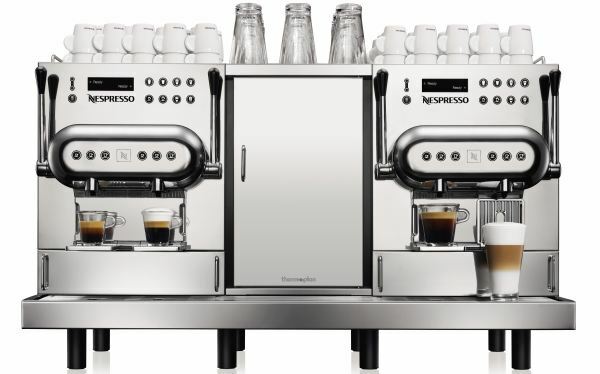 Its form attests to this function with buttons for espresso and latte, nozzles for dispensing drinks, and trays to catch the drips. To any user experienced in modern coffee this machine affords (Norman, 1990; Norman, 1999) the provision of coffee in its form and function keeping its information infrastructure hidden from view – only an engineer can understand that this machine is communicating. Yet such assemblages of plastic, metal and information technology are a “quasi-object” (Latour, 2003)– complicated cases requiring political assemblies and no longer “matters of fact” but instead “states of affairs” (Latour, 2003). Such a coffee maker is a drinks dispensing service (representing a service-dominant logic (Vargo & Lusch, 2004; Vargo, 2012)), provided through an assembly of material and immaterial objects whose boundary and ultimate purpose remain unclear. While the device above only communicates about its maintenance, other machines may go further. Such machines’ users, hankering for an espresso to get them through a boring conference, may be kept unaware that the infrastructure is monitoring his choices to influence global coffee production, to ensure the output is sufficiently tepid and dull to damage his economic productivity, or that the device is recording and transmitting his every word. He may be annoyed to discover his coffee is stronger than his female colleagues as gender profiling based on image recognition decides the “right” coffee for him. He may be horrified that the device ceases to work at the very moment of need because of a fault in contract payments within the accounts department – perhaps caused by their tepid weak coffee. Similarly companies involved in providing the coffee and milk for such machines might become enrolled in this reconfiguration (Normann, 2001) of coffee service, an enrolment which could reconfigure the knowledge asymmetries within the existing market. Suddenly an engineering company who previously made plastic and metal coffee machines is now in a position to better understand coffee demand than coffee growers or retailers. The machine itself could negotiate automatically on local markets for its milk provision, or compare material prices with similar machines in other markets, and even alter prices of coffee for consumers based on local demand. Through the enrolment of information infrastructures within a coffee service the knowledge of the coffee market shifts. All this has happened already to the market for music (increasingly controlled by a purveyor of sophisticated walkmen using a cloud service) and more recently ebooks (increasingly controlled by a book retailer and their sophisticated book readers). Now imagine the emergence of the smart-city with huge numbers of devices from street-lights to refrigerators connected to the cloud. How will the user of such smart-cities understand what they are interacting with – the quasi-objects they used to consider objects? How will such objects afford their informational uses alongside their more usual functions? At the centre of this reconfiguration of material objects is a computer system residing in the cloud aggregating information. It is the aggregation of data from devices which may be central to the lessons of the cloud for SmartCities. Gibson JJ (1979) The Ecological Approach to Perception. Houghton Mifflin, London. Latour B (2003) Is Re-modernization Occurring-And If So, How to Prove It? Theory, Culture & Society 20(2), 35-48. Norman D (1990) The Design of Everyday Things. The MIT Press, London. Norman D (1999) Affordance, Conventions, and Design. Interactions ACM 6(3), 38-43. Normann R (2001) Reframing Business: When the map changes the landscape. John Wiley & Sons Ltd, Chichester. Pritchard S (2012) Mobile Comms: Coffee and TV. IT Pro, Dennis Publishing Ltd, London. Vargo S and Lusch R (2004) Evolving to a New Dominant Logic for Marketing. The Journal of Marketing 68(1), 1-17. Vargo SL (2012) Service-Dominant Logic: Reflections and Directions. Unpublished Powerpoint, Warwick,UK. SLA’s and the Cloud – the risks and benefits of multi-tenanted solutions. Service Level Agreements (SLAs) are difficult to define in the cloud in part because areas of the infrastructure (in particular the internet connection) are outside of the scope of either customer or supplier. This leads to the challenge of presenting a contractual agreement for something which is only partly in the suppliers control. Further as the infrastructure is shared (multi-tenanted) SLA’s are more difficult to provide since they rest on capacity which must be shared. The client using the Cloud is faced a challenge. 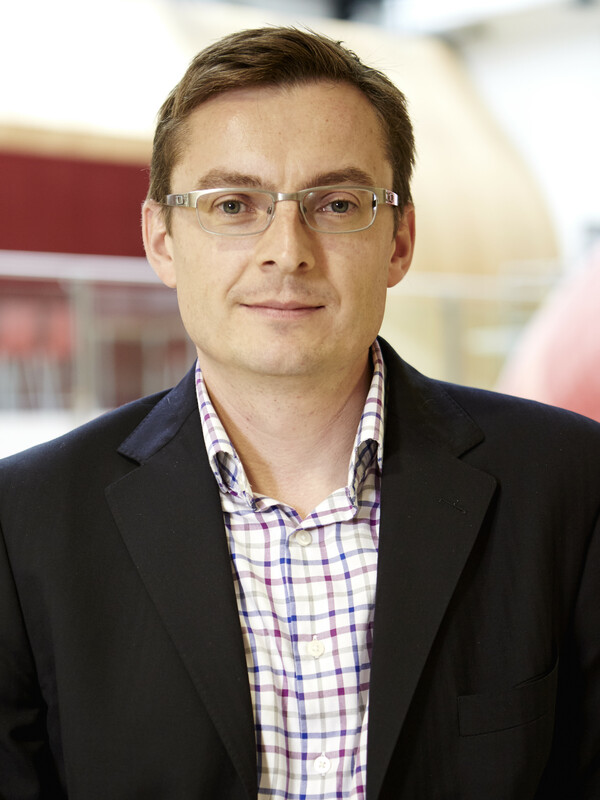 Small new cloud SaaS providers, which are increasing their business and attracting more clients to their multi-tenanted data-centre, are unlikely to provide usefully defined SLA for their services than that which a data-centre provider can offer where it controls all elements of the supplied infrastructure. Why would they – their business is growing and an SLA is a huge risk (since it is multi-tenanted breach of one SLA is probably a breach of lots – the payout might seem small and poor to the client but is large for a SaaS provider!). Further with each new customer the demands on the data-centre, and hence risk, increase. Hence the argument that as SaaS providers become successful the risk of SLAs being breached might increase. There is however a counter-point to this growth risk though – as each new customer begins to use the SaaS they will undertake their own due-diligence checks. Many will attempt to stress test the SaaS service. Some will want to try to hack the application. As the customer base grows (and moves towards blue-chip clients) the seriousness of this testing will increase – security demands in particular will be tested as bigger and bigger companies consider their services. This presents a considerable opportunity for the individual user. For with each new customer comes the benefit of increasing stress testing of the SaaS platform – and increasing development of skills within the SaaS provider. While the SLA may continue to be poor, the risk of failure of the data-centre may well diminish as the SaaS grows. To invoke a contract is, in effect, a failure in a relationship – a breakdown in trust. Seldom does the invocation of a contract benefit either party. The aim of an SLA is thus not just to provide a contractual agreement but rather to set out the level of service on which the partnership between customer and supplier is based. In this way an SLA is about the expected quality demanded of the supplier and with the above model the expected quality may well increase with more customers – not decrease as is usually envisaged for cloud. SLA’s for cloud providers may well be trivial and poor, but the systemic risk of using Clouds is not as simplistic as is often argued. While it is unsurprising that cloud suppliers offer poor SLA’s (it is not in their interest to do otherwise), it does not mean that the quality of service is, or will remain, poor. So what should the client consider in looking at the SLA offering in terms of service quality? 1) How does the Cloud SaaS supplier manage its growth? The growth of a SaaS service means greater demand on the providers data-centre. Hence greater risk that the SLA’s will be breached for their multi-tenanted data-centre. 2) How open is the Cloud SaaS provider in allowing testing of its services by new customers? 3) How well does the Cloud SaaS provider’s strategic ambition for service quality align with your desires for service quality. Obviously these questions are in addition to all the usual SLA questions. One of the significant concerns in entering the cloud is the potential for lock-in with a cloud provider (though clearly you otherwise remain locked-in with your own IT department as the sole provider). The cost of moving from one provider to another is a significant obstacle to cloud penetration – if you could change provider easily and painlessly you might be more inclided to take the risk. Various services have emerged to try to attack this problem – CloudSwitch being one which created a considerable buzz at the Structure 2010 conference. Their service aims to provide a software means to transfer enterprise applications from a company’s data centre into the cloud (and between cloud providers). Whether it can live up to expectations we have yet to know, but CloudSwitch is attempting to provide a degree of portability much desired by clients – and probably much feared by Cloud Service providers whose business would reduce to utility suppliers if they are successful. But this links into another interesting conversation I was having with a media executive last week. They mentioned that since cloud virtual machines were so cheap they often (effectively) host services across a number of suppliers to provide their own redundancy and thus ignore the SLA. If one service goes down they can switch quickly (using load balancers etc) to another utility supplier. Clearly this only works for commodity IaaS and for relatively simple content distribution (rather than transaction processing) but it is a compelling model… why worry about choosing one cloud provider and being locked-in or risking poor SLA – choose them all. Structure 2010: Akamai “Doing Terabit Events” (Thanks, World Cup). Akamai are an interesting company which highlights the problems of latency within the cloud. But also check out the work going on in Stanford on OpenFlow http://www.openflowswitch.org/ which provides a similar in data-centre / campus level network latency response by centralising the control of the network routers/switches to best manage the flow of traffic. This work also reduces the complexity of the network and allows a more specific and intelligent networking flow than achievable by existing routing tables.